Now Pay EMI using your Debit card on Flipkart. 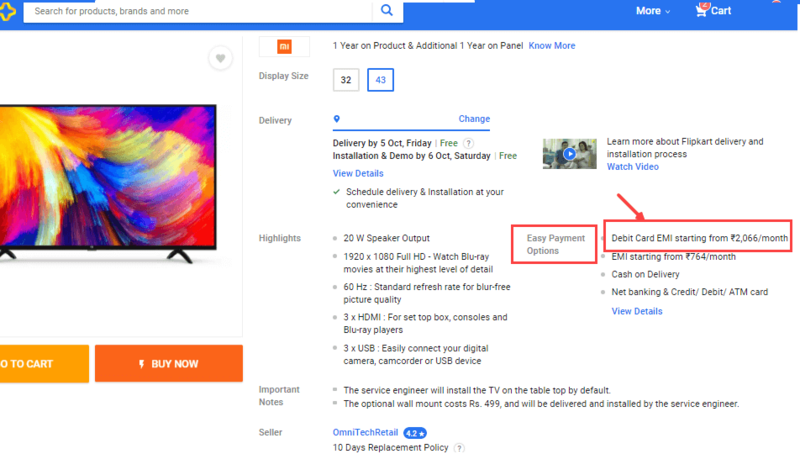 Yes, if you don’t have a Credit card then not to worry about it, Flipkart has launched EMI on Debit card facility for all customers. You can buy the mobile phone, electronics items, and other all products above Rs.8000 through EMI on Debit card. 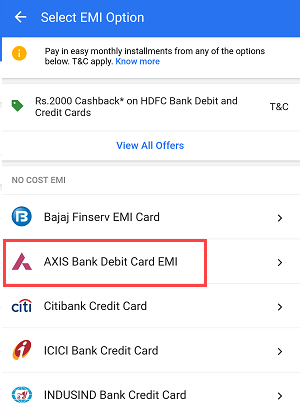 Currently, SBI, Axis Bank, ICICI Bank, and HDFC Bank Debit cards users can use his/her Debit card for EMI payment and soon Flipkart will add more banks for this facility. 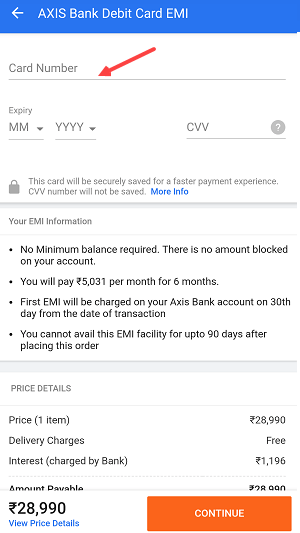 Please note, EMI on Debit card facility available for eligible customers only so if you are eligible then you can see EMI On Debit Card option on the payment page. 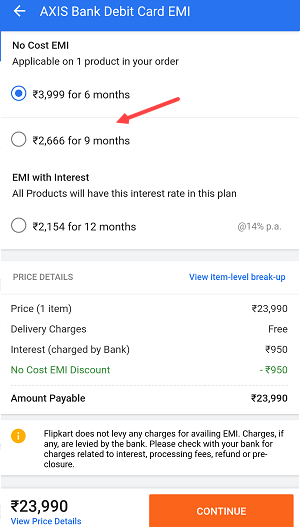 See how to use EMI on Debit Card facility on Flipkart. Step 1: First, add your product in your card and proceed for payment. 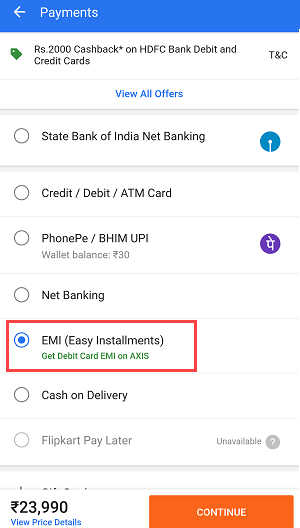 Step 3: Now select …Bank Debit card EMI option as you can see below im eligible for my Axis Bank Debit card. Step 4: Now select the EMI option suitable for you. You can see the applicable interest rate. Step 5: And now add your Debit card details like card number, expiry date, and CVV and authorize the transaction. Bank will convert the payment into EMI within 4-7 business days. Done! now EMI deducted directly from your Bank account automatically every month. Keep enough balance on your saving bank account. Just add your Debit card details and complete the transaction. In my case, when checked the first time i was not eligible for EMI on Debit card. Now i can see my Axis Bank Debit card eligible for this facility. So if you have partner Bank Debit card then wait for sometimes.